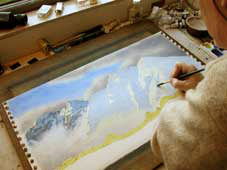 "Neil J Barlow; Mountain Painter; paintings; prints; watercolours; Scotland; Lake District; Snowdonia; The Alps;"
Neil Barlow is Scotland's foremost mountain artist. 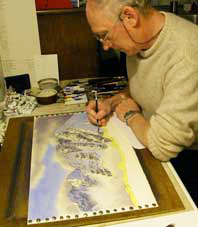 His dramatic watercolour paintings are highly sought after, and can be found in collections worldwide. 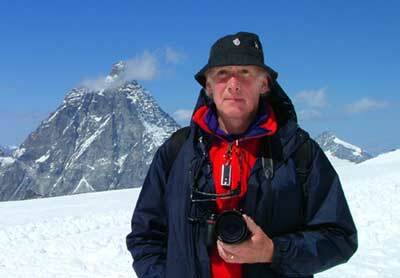 Born in Manchester, Neil has had a lifetime interest in mountaineering and brings to his paintings his vast knowledge of the hills in all their moods throughout the seasons. His attention to the details of form, light and shadow, ensures that each painting captures a precise moment in time, creating a dramatic mountain portrait. Neil now lives and works in the West of Scotland, where the magical highland light and unspoilt landscape provide continued inspiration for his stunningly beautiful mountain paintings.